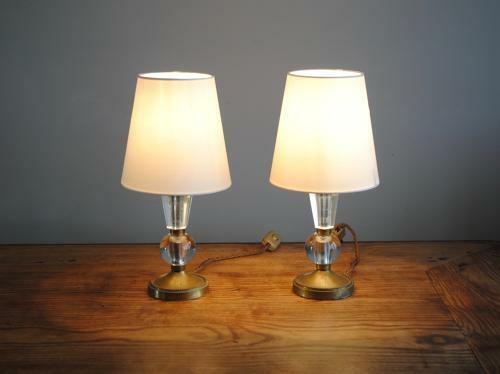 Lovely pair of Art Deco French bedside lamps. Custom made white cotton lampshades. Lamps measure 22 cm high without the shades. The base diameter is 9 cm.